Product information "Zoe wall / ceiling lamp"
Many different materials are combined in the Zoe wall lamp, which can be used as a ceiling light as well. Andreas Osterwald designed this harmonic lamp. Either modern or simply – this lamp is totally versatile! It automatically will become an eye catcher. The rich materials are used by the manufacturer Anta. 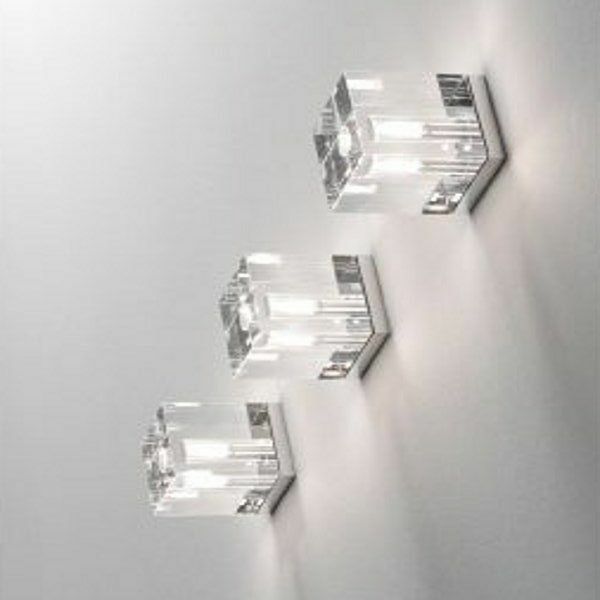 Dimensions in inch (WxHxD): 3,15" x 3,15" x 3,74"
Related links to "Zoe wall / ceiling lamp"